IMS controls engineers, develop the kind of advanced, integrated control units that make every material handling solution process keep moving. Our engineers are highly skilled in systems design and programming. We make sure that all the components in your handling or automation system are fully compatible ensuring reliability, productivity, and safety. Our controls division offers electrical controls design, PLC programming, HMI screen development and programming, and field service. 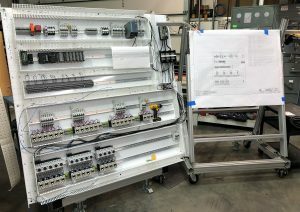 All of our panels are built and tested prior to shipping to our customer sites. 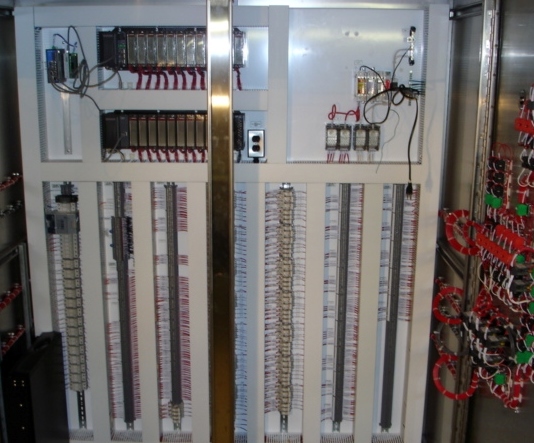 Our controls engineers can design an industrial control panel or system to meet the specific needs of your facility. We design and build our panels to the specific requirements of Underwriters Laboratory, ensuring reliability, safety, and effectiveness while meeting the UL 508A guidelines every time. 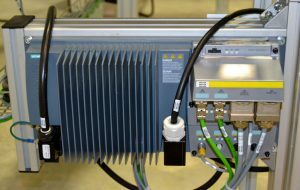 We build our equipment using the component brands you require, including Allen Bradley/Rockwell Automation, Siemens, Omron, Automation Direct, and more. Our custom designed SCADA systems will help you run your entire set-up efficiently, see issues as they happen, automate multiple systems concurrently, and compile data for reports to help identify problems and solutions. Our FAT (Factory Acceptance Test) facility can help reassure you that your automated system will meet all your needs. Our experts will work with you every step of the way to make sure your company’s questions are addressed before work begins. We also offer technical field support to help ensure that your controls are working optimally. We can offer support for existing equipment provided by others when and where you need. Learn more about how we can put controls to work for your business by contacting our skilled representatives today.